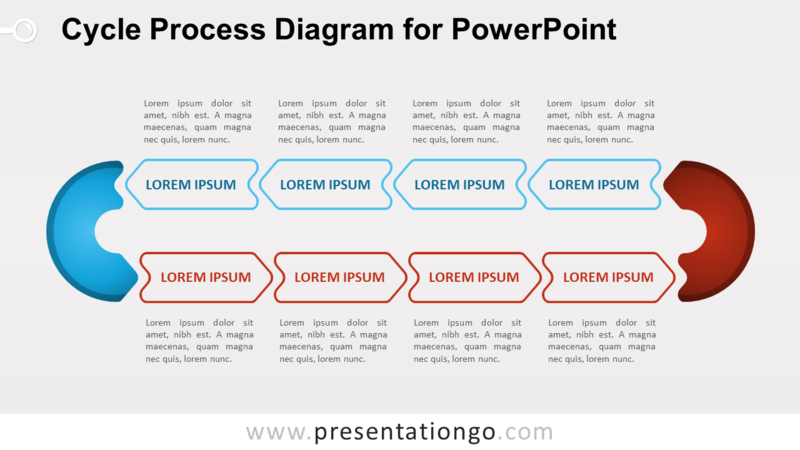 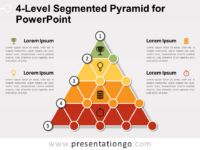 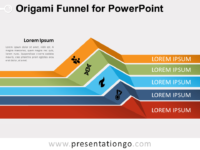 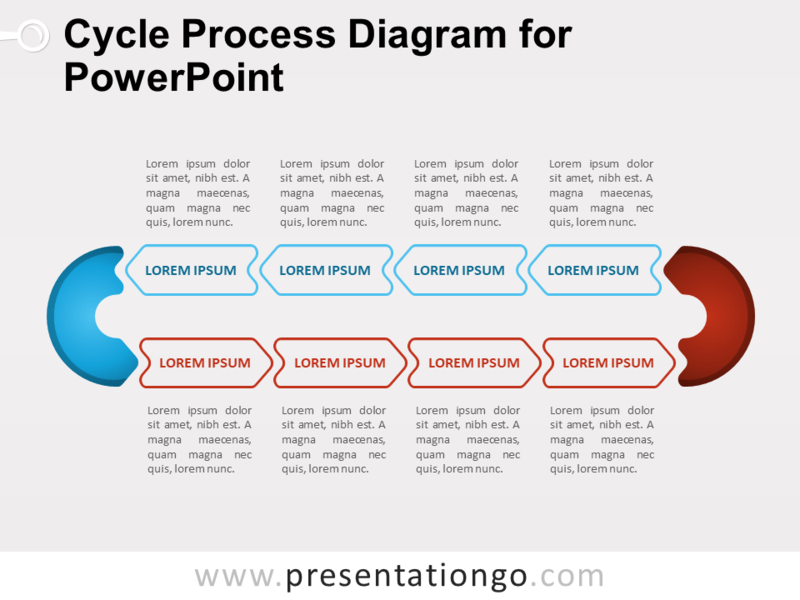 Free cycle process diagram for PowerPoint. 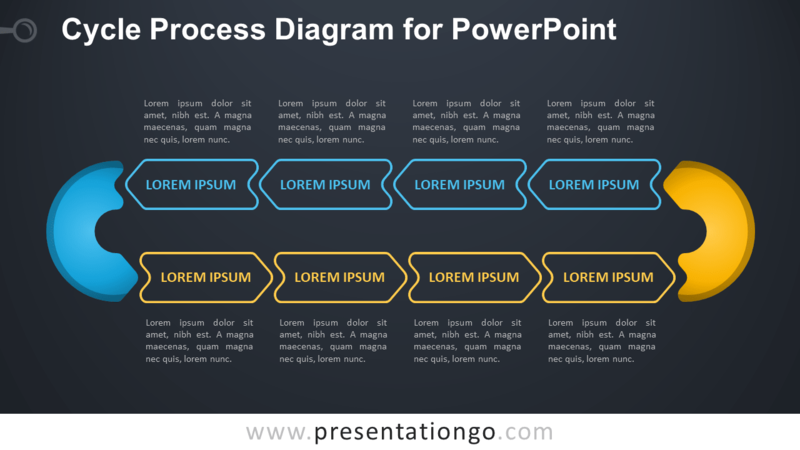 Continuous process made with ten (10) arrow outline shapes, and a curved arrow on each edge (turn). 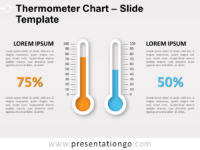 Editable graphics with text and icon placeholders. 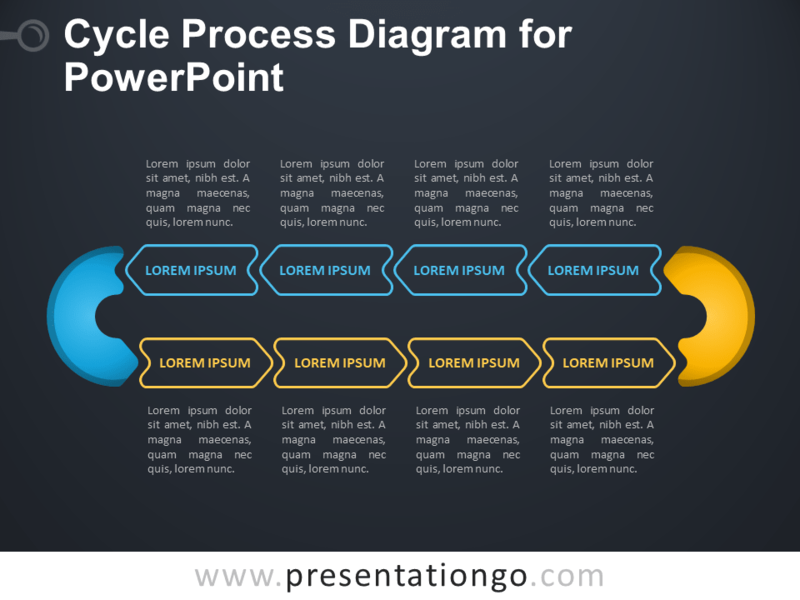 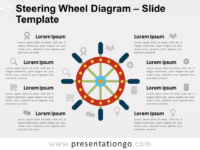 Use this cycle process diagram in your presentations to show a continuing sequence of 10 stages, tasks, or events in a circular flow.